Wonder of east Tour is perfect package of beauty, fun, enjoyment, thrill and relaxation. The tour highlights the gems of Southeast Asia. Every day will be a unique and different experience. You will feel like meeting with pleasure and new experience every day. 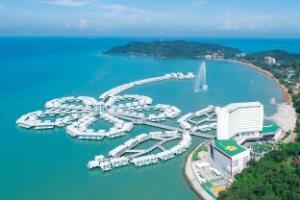 Thailand, Malaysia and Singapore are the gems countries and creates a magic when explored all together. At Swarnbhumi airport our representative will be at the arrival lounge. He will assist you to transfer to hotel and check in. Your hotel will be carefully chosen and is around the shopping malls and market. After early morning breakfast proceeds proceeds for the Thailand’s Natural Safari Park, Safari world and Marine Park. Your day will be packed and bang on with thrill, excitement and adventure. You will get a chance to see rare and endangered species of animals at Safari Park, Tiger and lion feeding show will surely leave you spellbound. Marine Park visit will be a soothing delight as you will amazed with the vast spectrum of animals performing some amazing show. Siam Niramit show will be a perfect treat to finish the day. 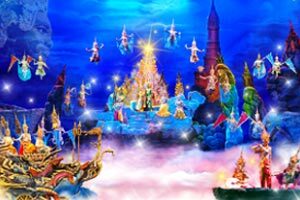 The show will gives you glimpse of Thai art and culture by performance of more than 150 performers live. Morning after breakfast proceeds for the 02 most famous sites of Bangkok Temple of reclining Budha and Temple of Golden Budha. After visit to Gem factory leave to Pattaya, on arrival check into the hotel. 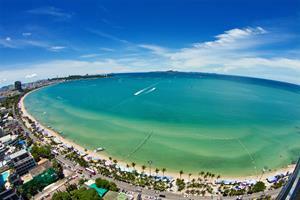 Pattaya is perfect place to rest and enjoy the life. Beautiful coral islands, beaches, wide range of sports and recreational activities makes this places loving one. After check in and freshen up proceeds for the Grand Alcazar Show. Filled with stupendously fantastic performances, sound, light and , music it creates a live dramatic unmatched magic. 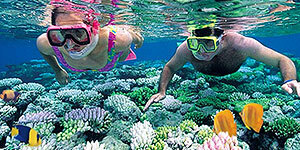 After breakfast today you will explore the coral Islands. Having a joy ride of speed boat we will head to coral Island. Coral Island has lots of options for sailing, water skiing and other water sports. Morning after breakfast we will fly to Malaysia Truly Asia from Bangkok Airport. 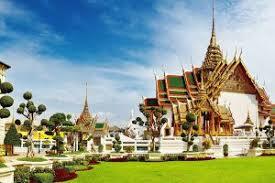 On arrival at Bangkok our representative will assist you to transfer to hotel and check in. 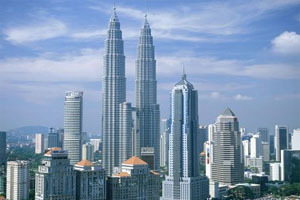 Kualalumpur is famous for shopping bargains for clothes, accessories, electronics etc. After freshen up enjoy your evening shopping at local markets around. Morning after breakfast proceeds for the pnaromic city tour of Kulalumpur. 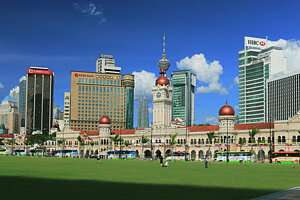 You will visit 88 storey Petrona Tower, Lake Gardens with National monuments, National Mosque and Merdeka Square.. Morning after breakfast proceeds for Genting highland, enroute stop at Batu caves, which are superb Hindu shrine. 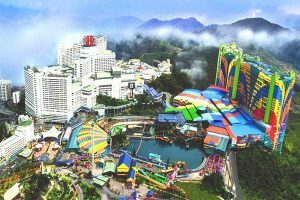 Enjoy your time with breathtaking scenery of lush green hills, theme park and its breathtaking rides,games, roller coasters etc. Morning after breakfast drive to Port Dickson which is just 60 kms from Kualalumpur. Its 16 kms long stretch of white sandy beach is main attraction. After arrival check in to hotel in Port Dickson and spend your rest of the time exploring and enjoying at beautiful beaches of Port Dickson. Morning after having your breakfast drive to Lion city – Singapore. On arrival check into the hotel. Evening you will go for the world’s first night safari. The safari is set in a jungle adjoining Singapore zoo. The safari will create a stunning scene unfolding the mystery and drama of tropical jungle. Morning after having your breakfast proceeds to enjoy an awesome day at Sentosa. You will get more than you have ever expected fun filled day at Sentosa Island, 4D Magix, Underwater world, Jewel of reefs and much more is waiting for you. Morning after breakfast the morning is free to relax or shopping. After your lunch proceeds for the combined Singapore city and harbor Duck tour. 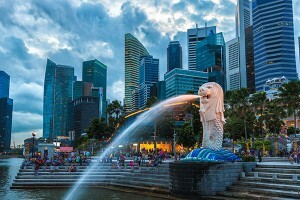 The sightseeing begin with Singapore Heritage tour by visiting historical landmarks, Merilion Park, the Esplanade and Clifford Piers. 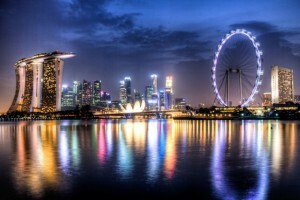 After enjoying the land give your tour a fly at Singapore Flyer to get a kaleidoscopic view of entire city.